This mod is the spiritual successor to iBench, adding a portable crafting table with some nifty features. The crafting table keeps the items stored in it. It supports shift clicking into and out of it. Rotates the items in the crafting grid, this spins the exterior 8 items in the crafting grid. Balances the items in the crafting grid, this makes each item in the crafting grid have even stack sizes. Clears the items in the crafting grid, this brings them back down to your inventory. The mod also has Just Enough Items integration, allowing you to add items directly to this crafting grid from the JEI [+] button. Can be found on Github. The changelog is also there. Yes, you can include this in any modpack. As a courtesy, I do ask that you please simply give me a heads up if it is a larger/public pack though. No, you cannot repost this mod elsewhere. Details in spoiler. Posting my mod on different websites is allowed as long as you link to this post and don't re-upload the mod to a different file sharing service. The download link must be my official curseforge link (Downloads page or Direct Download Link). Using bit.ly or other URL shorteners that you money off are strictly forbidden. You can't make money of other peoples work. #StopModReposts Look at this thread for more details. Join my Discord channel and chat. Anyone is welcome to join! You are not obligated to donate by any means, this mod is 100% free, but any contribution really helps me have more time to work on the mod, so I can create better content for you! Any amount is greatly appreciated. Or check out my Patreon. The MCF post for this mod can be found here. Hallo mir ist aufgefallen das die Inventar Anzeige keine Item Name sichtbar sind. This isn't an issue at all, I just wanted to first say thank you. 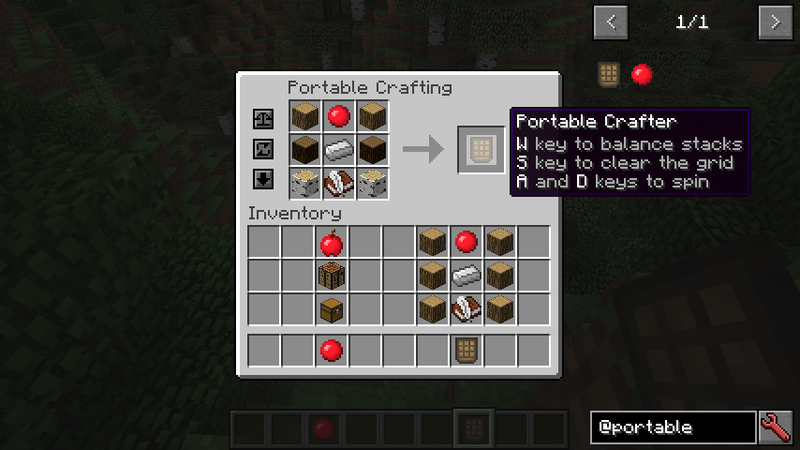 I love how this mod provides a keybind-accessible portable crafting table that doesn't require any personal inventory space... or at least I thought it did.... The first time I installed this mod (version 1.0.1), I could just use whatever keybind I had set for the crafting table. Upgraded to 1.0.2, and now it requires you to have the "Portable Crafter" item in my inventory. CraftingCraft already does exactly this so I don't see the point. Especially since it's integrated to work with Just Enough Buttons and this mod does not. Please make it so this mod's crafting table can be used allowing the Just Enough Buttons to work (the required real estate on the screen is still there) and maybe consider making it into a Bauble. The ability to open it without the item was an oversight, as I personally don't believe it is "balanced" to have access to a full-fledged crafting grid without the relevant item in your inventory, hence the fix in 1.0.1. I also fail to see the relevance of JEB. This is intended as a survival friendly utility mod, nothing more and nothing less. While a Bauble would be a possibility, it's not high on the list of my priorities (working on Iron Backpacks is currently more important, and is consuming all of my time). Perhaps eventually, but I wouldn't get my hopes up. 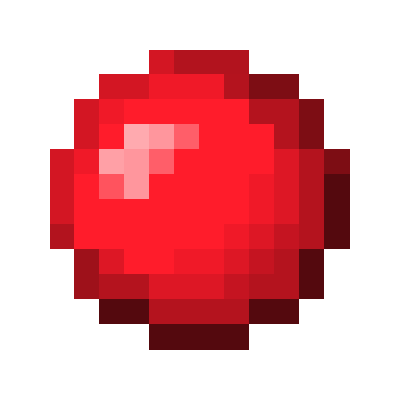 If you really disagree with my design stance then by all means just use 1.0.0. That version should be archived and available; I have no plans to remove it.